Harold (Hal) Reynolds is a native of San Antonio, Texas. Following graduation from Highlands High School (where he began formal trombone studies with Calvin Schultz,) he attended Sam Houston State University for one year where he studied trombone with Ralph Liese (Houston Symphony) and jazz improvisation with Jerry Coker. In January of 1967 he earned his Bachelors degree in Music Education from St. Mary’s University (San Antonio,) where he studied trombone with Richard Powell and served as Assistant Principal Trombone with the San Antonio Symphony from 1964-‘66. He completed his Masters degree in Performance at Southwest Texas State University in 1976, studying trombone with Dr. Jeff Williams. He earned his Doctor of Musical Arts degree from the Eastman School of Music in 1989, where he studied trombone with Donald Knaub, George Osborn and John Marcellus. He has taught trombone and music education courses at the University of North Carolina-Greensboro (1979-’83) and later at the University of Texas at San Antonio (1987-‘88.) He has been Professor of Trombone at Ithaca College since 1988. 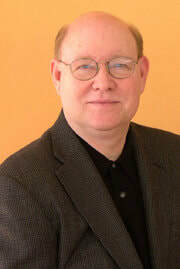 Since moving to Ithaca, Hal has served as Principal Trombone of the Tri-Cities Opera Orchestra (Binghamton, NY) from 1989–2007, Cayuga Chamber Orchestra (1989-present,) and has been the first call sub for the Glimmerglass Opera Orchestra (1989-present) and the Syracuse Symphony (1990-2016,) where he has performed extensively over the past twenty-seven years. Throughout his career he has been an active classical and jazz performer. He has been guest soloist with the Greensboro Symphony Orchestra, the United States Navy Band, the United States Army Band (on three separate occasions), “76 Trombones + 4,” (Las Vegas) as well as with numerous high school and college bands and orchestras. As a jazz performer, Hal toured with Johnny Carson (w/Phyllis McGuire and Harry “Sweets” Edison) and played trombone with the Gap Mangione Big Band, Xavier Cugatt Orchestra, as well as numerous backup bands for performing artists such as Frank Sinatra Jr., James Brown, Charlie Pride, Clay Aikens, Jerry Lewis, Eddie Daniels, Aretha Franklin, the Temptations, Natalie Cole, Kenny Rogers, Ben Vareen, Liza Minelli, Dudley Moore, Joe Williams, Martha Ray, Johnny Mathis, and many others. Hal is an active adjudicator having presented five clinics and sessions at NYSSMA. In 1999 he was invited to judge the International Tuba Competition in Budapest, Hungary, where he also conducted a master class at the Franz Liszt Academy. He has most recently done a series of clinics for the brass performers at the Armed Services School of Music in Norfolk, VA.
Hal is a former clinician for Edwards Trombones, Inc. and now performs on Michael Rath trombones exclusively. In June of 2004, he was the Host of the 33rd International Trombone Festival held at Ithaca College. He is a member of NYSSMA, MENC, AFM, Local 78, a Lifetime Member of the International Trombone Association, as well as a member of Pi Kappa Lambda, Phi Mu Alpha Sinfonia, Kappa Kappa Psi, and was recently inducted into Phi Kappa Phi.